A fast, fun, team game that’s played in a wheelchair – wheelchair basketball is mostly played by disabled people, but people who aren’t disabled can play too. It’s a full body workout, so it’s a great way to get fit. It’s played on a court, which can be indoors or outdoors. You play in a team of 5, with the aim of scoring the most points by throwing a ball into the other team’s basket. The number of points you get for a goal, depends on where the goal is scored from. A whole game is made up of four 10 minute periods, so you’ll improve your fitness quickly. You can use different tactics, like dribbling the ball (take one or two pushes whilst the ball is resting on your lap) defending and shooting – so there is something for everyone! A team sport, so you can have fun with friends at the same time as getting fit! Just turn up in comfortable sportswear and some trainers. If you aren’t a disabled person, check with the organiser first to make sure you can borrow a wheelchair. 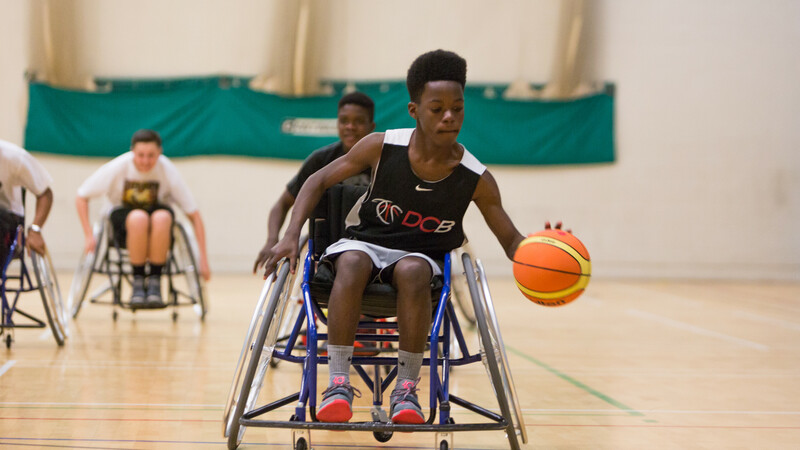 If wheelchair basketball could be the sport for you, why not check out the British Wheelchair Basketball website for more information on it.